We're a team of dedicated chimpanzee researchers and conservation advocates. Dr. Matt McLennan (Oxford Brookes University, UK) began studying the Bulindi chimpanzees back in 2006, and has been devoted to them and their conservation ever since. As the Project Director, Matt is responsible for supervising staff, raising and managing funds and ensuring the smooth-running of the project. Moses Ssemahunge worked with Matt and Tom at Bulindi during the early years of the study. He went on to gain a Masters degree in Forestry, but remained passionate about conservation of chimpanzees and natural forest. Moses has extensive experience in tree nursery management and reforestation techniques. As Project Manager, Moses oversees the day-to-day running of the project. Tom Sabiiti has worked alongside Matt since 2006. As the long-term Chimpanzee Monitor, he follows the chimps daily and knows each individual better than anyone. Born in Bulindi, Tom is a well-known and popular member of the local community; his central role in this project helps ensure trust and transparency between project staff and participating households. Patrick Baruzaliire looks after the the tree nursery. As as a local farmer Patrick understands the needs of local families and the demands of land alike. Moses, Patrick and Tom are responsible for day-to-day implementation of project activities on the ground. 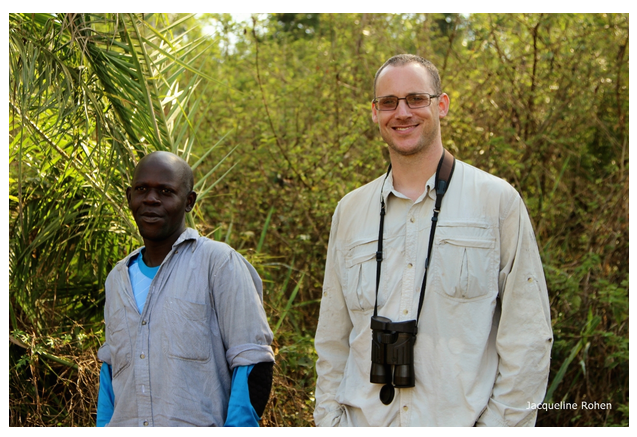 Researchers Tom Sabiiti and Matt McLennan who have followed the lives of the Bulindi chimpanzees since 2006. 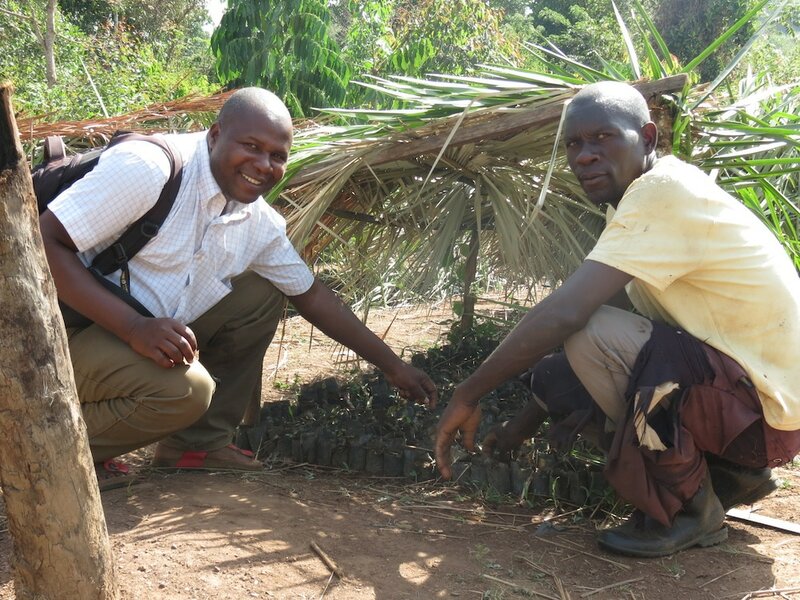 Project Manager Moses with Nursery Attendant Patrick at the project tree nursery. Jackie Rohen first met the Bulindi chimps in March 2014. She saw first-hand the urgent need for action to save their forest home and immediately got involved helping to develop this project. Jackie is Co-Director of BCCP and manages the grant applications and the social media and website for the Bulindi Chimpanzees project. Georgia Lorenti is a researcher and volunteer Field Operations Manager with BCCP. She has always had a deep interest in great apes. At the age of five, she was entirely committed to her goal of becoming a mountain gorilla, but was eventually persuaded to pursue a more practical career in primatology. Georgia’s primary interest lies in behavioural ecology and the conservation implications posed by great ape responses to habitat fragmentation. Georgia has a Masters in Primate Conservation from Oxford Brookes University, and first fell in love with the Bulindi Chimpanzees while conducting research for her thesis in 2014. Georgia in the forest with Vincent Kiiza, BCCP's Chimpanzee Monitor for the Wagisa chimpanzee community. 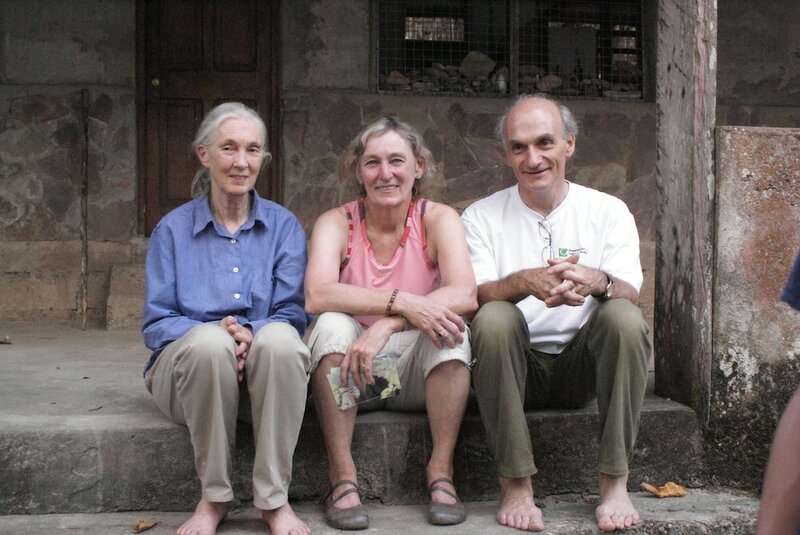 Dr. Nancy Merrick is a former student at the Gombe Stream Research Center in Tanzania and a long-time friend of Dr Jane Goodall. She founded the advocacy website www.ChimpSaver.org, and is the author of the New York Times-recommended book, Among Chimpanzees: Field Notes from the Race to Save Our Endangered Relatives. She first met the Bulindi chimps in 2013, as described in her book. Nancy is also the treasurer and board member for the charity 'Friends of Chimps', with whom she has generously devoted her time to raise funds for the Bulindi Chimpanze and Community Project. Dr. Maureen McCarthy is a primatologist at the Max Planck Institute for Evolutionary Anthropology. She studies chimpanzee demography as part of the Pan African Programme. For her PhD, Maureen studied population distribution and gene flow of chimpanzees in the Budongo-Bugoma corridor region, which includes Bulindi. She continues to collaborate with the team at Bulindi. Jack Lester is currently a PhD student at the Max Planck Institute for Evolutionary Anthropology as part of the Pan African Programme. He is looking at chimpanzee demographic history and population parameters from samples collected across their range. 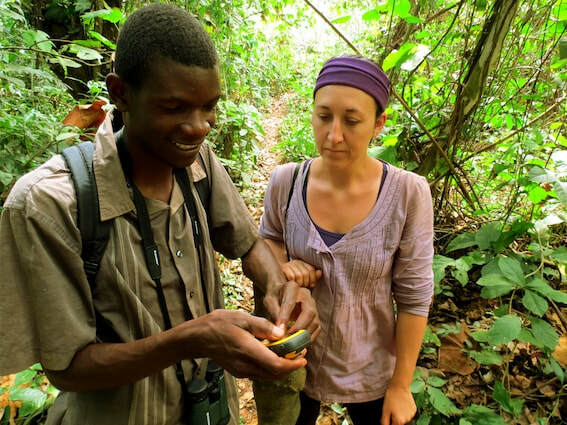 Prior to beginning his PhD, he assisted Maureen on her PhD project and became passionate about the challenges of the human and nonhuman inhabitants of the Budongo-Bugoma corridor region. Dr. Marie Cibot is a veterinarian and primatologist. For her PhD, she studied wild chimpanzees in the Sebitoli area of Kibale National Park, in Uganda. In 2016, Marie visited Bulindi for the first time to begin a study examining the health of people, primates and domestic animals in the Bulindi area.